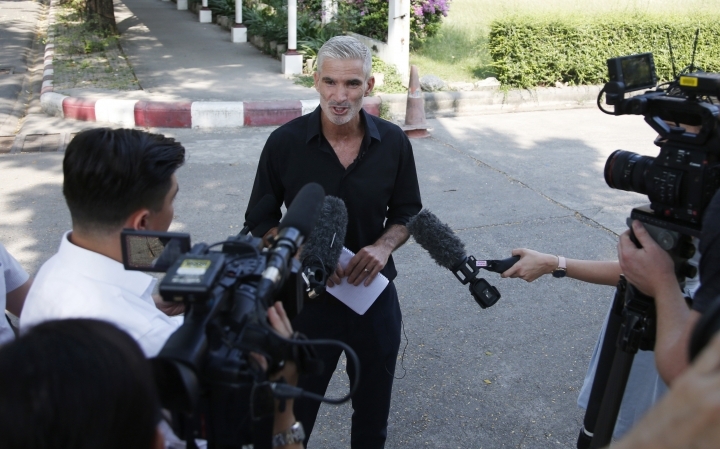 BANGKOK — A former Australian soccer player urged the sport's governing bodies on Tuesday to push for the release of a Bahraini refugee athlete detained in Thailand while it weighs his extradition. 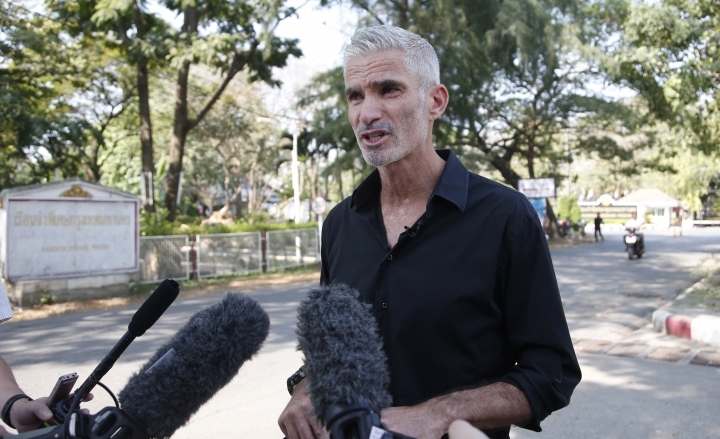 Former national team member Craig Foster visited Hakeem al-Araibi at a Bangkok prison and said the Bahraini was losing hope after nearly two months in detention. Australia granted al-Araibi asylum in 2017, but Bahrain wants him returned to serve a prison sentence for a charge he denies. Foster criticized FIFA, soccer's world governing body, and the Asian Football Confederation for not doing more for the jailed player. "We feel as though football hasn't done enough," Foster said after meeting with al-Araibi. "FIFA has failed to uphold their own human rights policy and certainly the AFC and President Sheik Salman have been completely silent throughout this whole process. It's simply not good enough." Al-Araibi plays for a semi-professional Australian soccer team, Melbourne's Pascoe Vale Football Club, and has played for the Bahraini national team. He was detained upon entry at Bangkok's main airport in November on a Bahraini-requested Interpol notice because he had been sentenced in absentia in 2014 to 10 years in prison for vandalizing a police station, which he denies. A Thai court in December ruled that al-Araibi could be held for 60 days pending the completion of an extradition request by Bahrain. Al-Araibi's lawyer said Monday that Bahrain has not yet officially submitted the extradition request but that Bahraini officials had been in touch with Thai officials via diplomatic channels. Foster, who is now a television sports analyst, said al-Araibi suspects he is being sought by Bahrain because of critical comments he made about royal family member Sheikh Salman Bin Ibrahim Al-Khalifa, the president of the Asian Football Confederation who was elected in 2013 despite criticism from human rights groups. 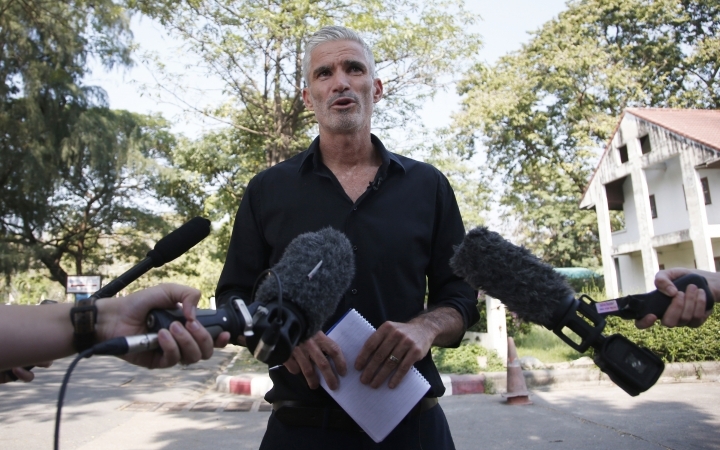 Foster said al-Araibi had played soccer inside the Thai prison where he is being detained. "He played for the champions of the prison," Foster said. "And I said: did you win? He said, 'yeah we won but I got injured so I can't play again.' But he said 'why am I playing behind bars?'" "And that's the message to FIFA," Foster said. "This is a kid who loves football, this is one of our fellow players and here he is behind bars. Loves the game so much that he's prepared to play with other prisoners just to play a game."